Marrakech, Marrakech 2 or Marrakech (Arabic: مراكش, in Tifinagh: ⵎⵕⵕⴰⴽⵛ) is a city in central-southwestern Morocco, located near the northern foothills of the High Atlas Mountains. 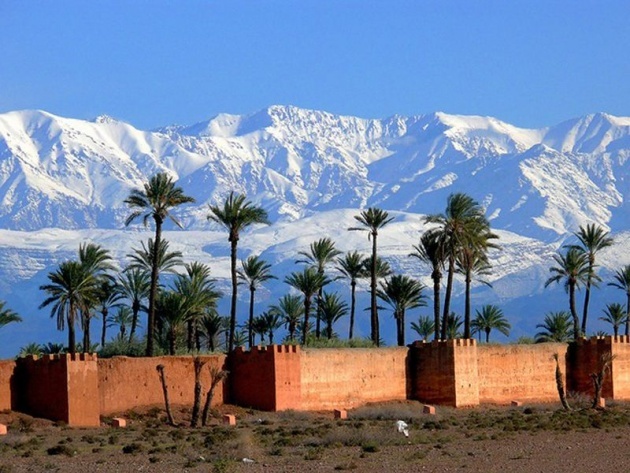 Known as the "Red City", the "Pearl of the South" or "the south gate", is the capital of the homonymous prefecture, which is part of the Marrakech-Tensift-Al Haouz region. In 2004 had 801,043 inhabitants.1 (1,070,838 in the prefecture). It is the fourth largest city in the country, following Casablanca, Fez and Rabat. It is located 580 km southwest of Tangier, 327 km southwest of Rabat, 240 km southwest of Casablanca and 246 km northeast of Agadir. It is probably the most important call four imperial cities of Morocco (the others are Fez, Meknes and Rabat) and attracting more tourists. The area is inhabited since the Neolithic, when Berber farmers lived there, but the city was only founded in 1062 by Abu Bakr ibn Umar, warlord and king's cousin Almoravid Yusuf ben Tasufin. 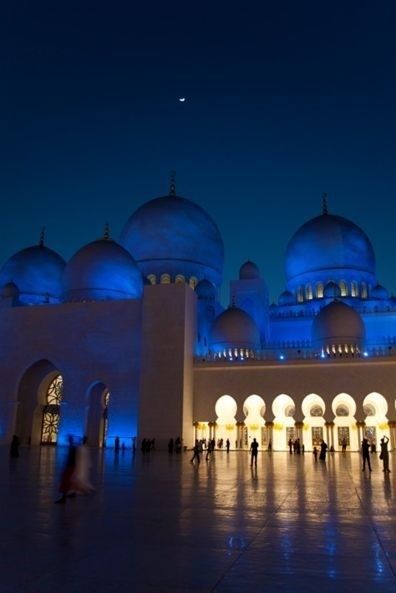 In the twelfth century the Almoravids built many madrasas (Islamic schools) and mosques in the city that had influences of al-Andalus architecture (Muslim Iberia). The red city walls, built by Ali ibn Yusuf in 1122-1123 and several buildings built in also brownstone during this period are the basis for one of his nicknames - "Red City" or "City ocher". 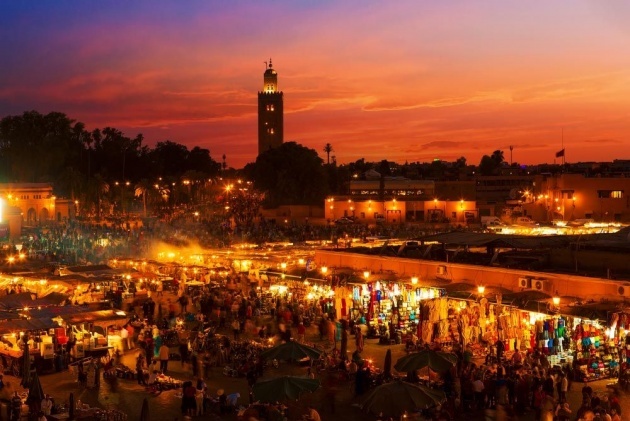 Marrakech has developed rapidly and has become a cultural, relgioso and commercial center for the Maghreb and sub-Saharan region of Africa. The Jemaa el-Fna today is the busiest and lively Africa; in 2001 was included in the lists of the Oral and Intangible Heritage of Humanity. After a period of decline, the city was overtaken by Fez, but at the beginning of the sixteenth century again became the capital of Morocco. Marrakech gained new prominence during his reign of the sultans Saadian rich Abu Abdallah al-Qaim (r. 1509-1517) and Ahmed al-Mansur (r. 1578-1603), who graced with sumptuous palaces like the El Badi ( 1578) and restored many monuments in ruins. 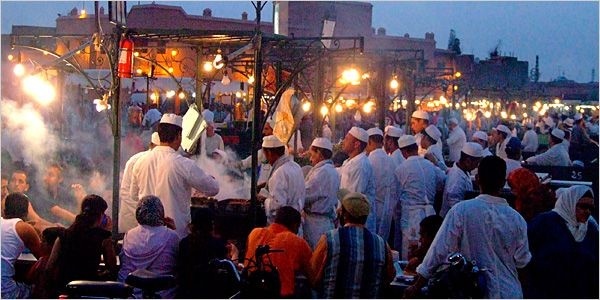 From the seventeenth century, the city became popular among Sufi pilgrims due to nel are located the graves of so-called Seven Saints of Marrakech. In 1912 was established the French Protectorate of Morocco. Thami El Glaoui, a Berber feudal leader as controversial as notorious, had the title of Pasha of Marrakech (a kind of puppet governor of the French colonial administration for certain matters) over almost the entire period lasted the protectorate. In 2009, Fatima Zahra Mansouri became the second woman to be elected mayor in Morocco. Like many Moroccan cities, Marrakech has an old part (or almedina), corresponding to the primitive city, surrounded by walls, fortified with littered streets of shops and street vendors, surrounded by modern neighborhoods, including Gueliz, the most elegant of them located near the center. He is currently one of the busiest cities in Africa and is both an important economic center and a tourist destination of world fame. Tourism development is a priority of Mohammed VI, the reigning monarch of Morocco, which aims to double the number of foreign tourists visiting Morocco each year, the number is expected to reach 20 million in 2020. 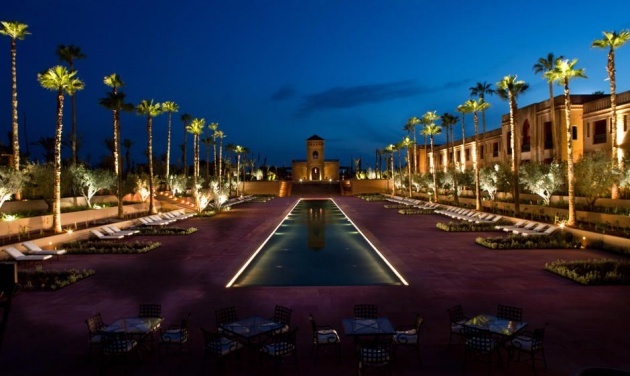 Despite the economic downturn, the sector real estate and the opening of hotels in Marrakech rose sharply in the early years of the twenty-first century. The city is particularly popular with French and many French celebrities have properties there. Marrakech also has the largest largest souk (suq, traditional market) Berber, with 18 specialized souks that focus on almedina, where they sell and sometimes also manufacture a wide variety of products, ranging from traditional Berber carpets to elteónica modern consumer. The craft occupies a signficativa of the population, and its production is mainly to tourists. Marrakech is served by Marrakech-Menara Airport (IATA: RAK, ICAO: GMMX) and a rail link to Casablanca and the north. In the city there are several schools and universities, including the University Cadi Ayyad. There are also several football clubs, as KAC Marrakech, Najm Marrakech, Mouloudia and the Chez Ali Club. The street circuit Moulay el Hassan welcomes the motoring evidence of the WTCC, the Auto GP and Formula 2 FIA.